Refreshed, radiant, relaxed, satisfied, delighted: perhaps not the feelings many people would often associate with air travel. 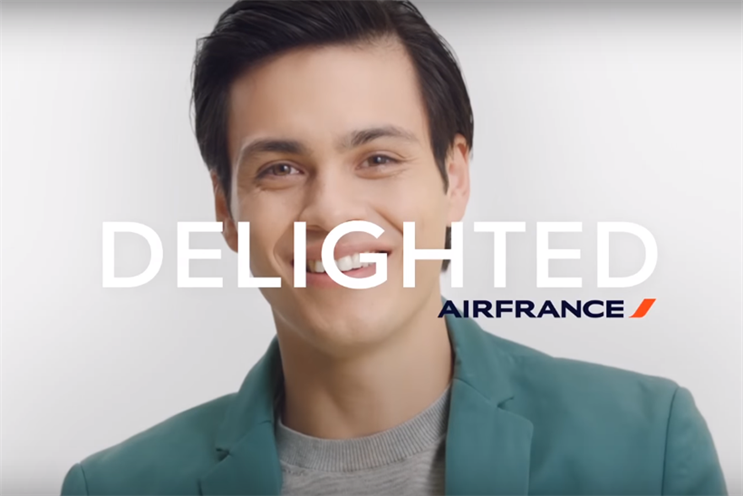 Air France claims otherwise - the airline has launched a series of films to flag up points of difference such as its comfortable, full lie-flat seat-beds; seamless priority boarding processes; and menus of haute cuisine designed by leading French chefs. The adverts star Louise, Charlotte and Lee, a trio of good-looking, well-dressed and cheerful passengers who can’t get enough of the top notch experience offered by Air France. Marketing can't help but feel their delighted, wide-eyed faces and the elegiac synth-pop soundtrack confirms this is some kind of futuristic dystopia, where the ad's protagonists are somewhat shielded from reality.